Couple, Boston, MA | Ming's Photo Blog! 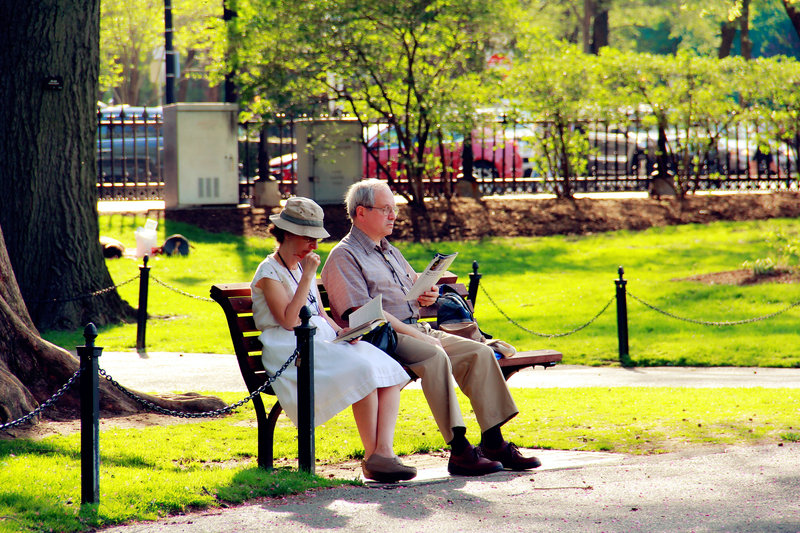 On my way back from Newbury Street, I noticed this couple in the Public Garden. In the sunny afternoon, they quietly sat on the bench, each reading a book. The lady wore a white dress, simple and elegant, but also looked just like a teenager girl. Maybe this is his favorite? Not too far away, two young artists were happily playing violin and cello and they were rewarded by rounds of applause by the audience. This is just the moment you will realize how wonderful it is to be with someone important to you, to do something interests you, and to appreciate the beauty of a simple life. This entry was posted in Boston and tagged Boston, Massachusetts, People. Bookmark the permalink.